Found this strange mushroom under a Larch tree in Mynydd Mawr Country Park yesterday. The cap was 5 cms accross but it had a very long stipe that measured around 15 cms, making it look all out of proportion. 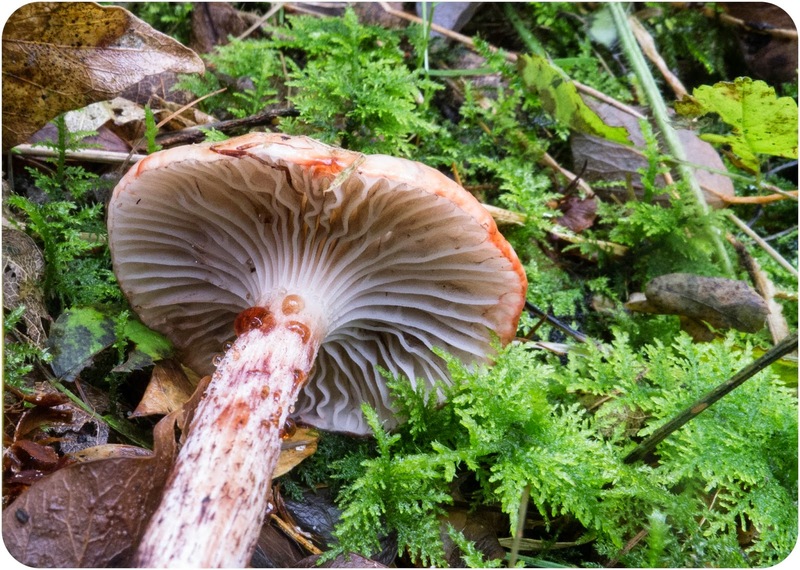 There were small red droplets appearing on the cap and stipe. 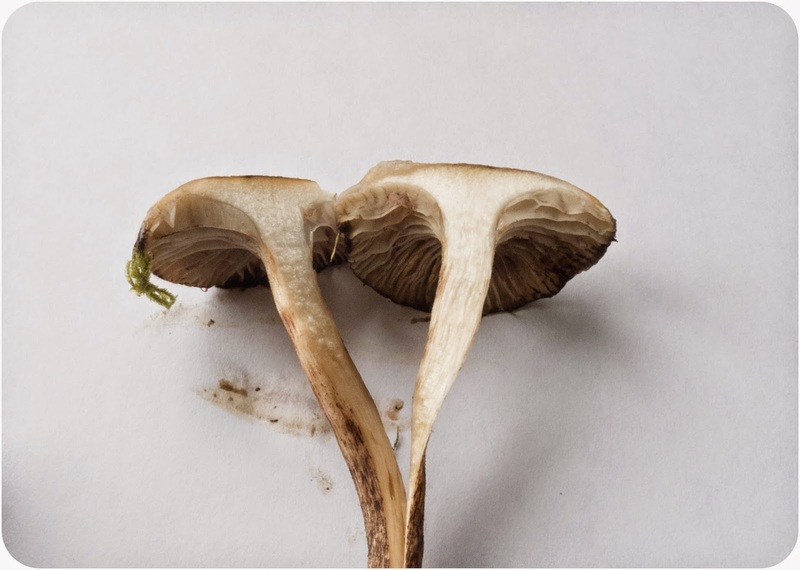 The gills were decurrent with a black spore print. The spores were also quite large measuring about 20um x 7 um. Checking through, Gomophidius maculatus could fit the bill but would welcome any other suggestions. Nice pics of G maculatus Colin. 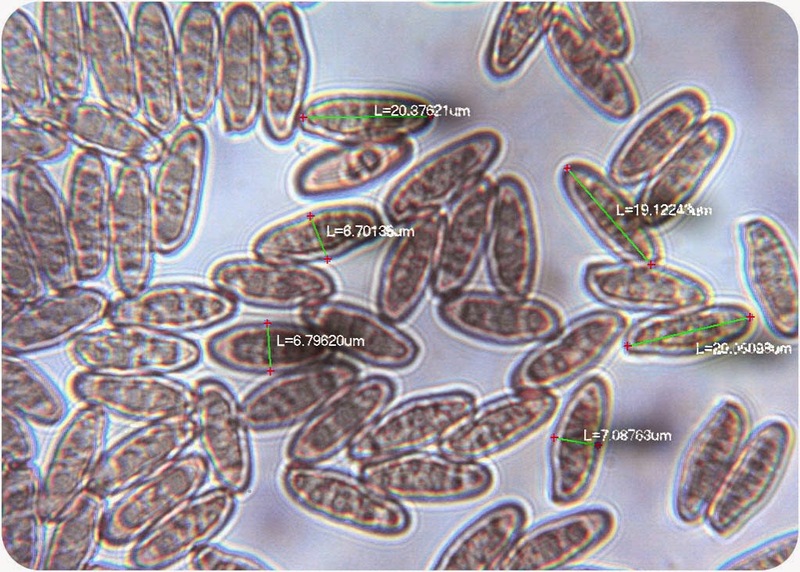 Good to have pic of spores as these have the shape of 'boletus' spores. This and Paxillus have gills but are allied to 'boletes'. Nice to see pink droplets on stipe as not often shown in books ---- dry off to a brownish blotch. Is associated with Larch and rarely with 'pinus'. 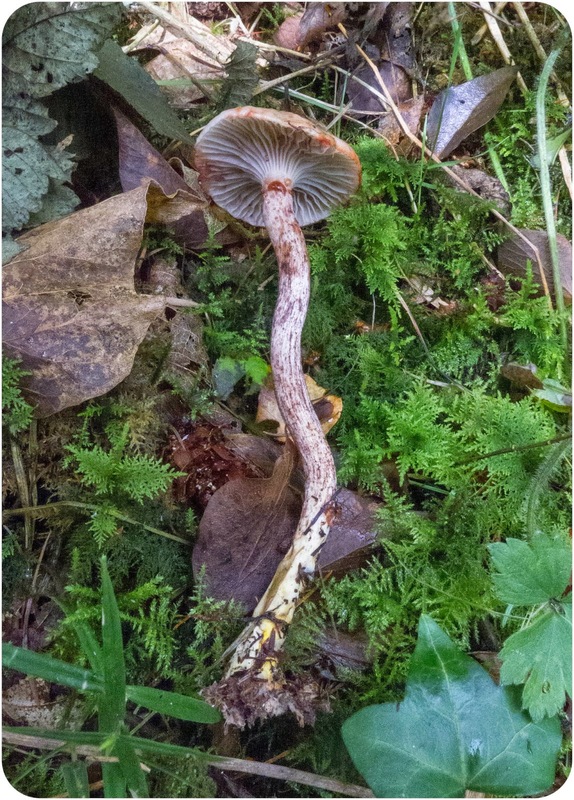 Often grows with Suillus grevillei as there is 'some intimate connection in the vegetative sate' between the two.